Workshop gantry crane is a perfect lifting system for factory where there is a need for flexible lifting movement. This gantry crane is widely applied in workshop and some other indoor and outdoor workplaces such as workstation, garage, shop and storage yards. The gantry crane in workshop is more often used to lift and transfer small and light loads around the working area freely. When loading items, the small workshop gantry crane mostly keeps stationary, and it can move when unloading materials. We have specialized in manufacturing workshop gantry crane and other types of gantry cranes for many years. Our workshop gantry cranes come in many different sizes and designs to serve a wide range of applications and industries. Typically the small gantry crane can runs horizontally on a track or tracks, and it can also run on rubber tyres or other wheels to make the movement more flexible. Besides, the gantry crane for workshop can be outfitted with wire rope hoist or electric chain hoist. Generally we supply rail mounted gantry crane, rubber tired gantry crane, mobile gantry crane, aluminum gantry crane, steel gantry crane, single girder crane and so on for your workshop. 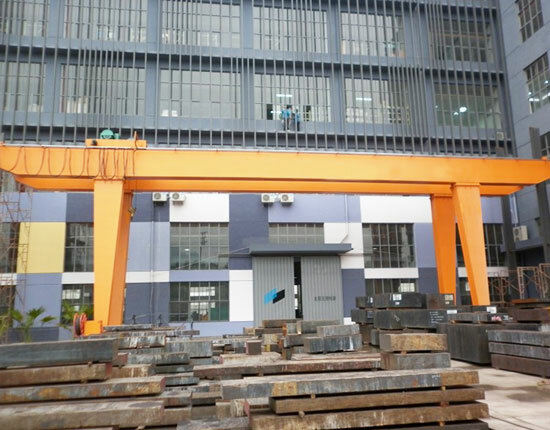 We are very pleased to help you choose one on your request, or we can provide customized workshop gantry crane to fit your special requirement. 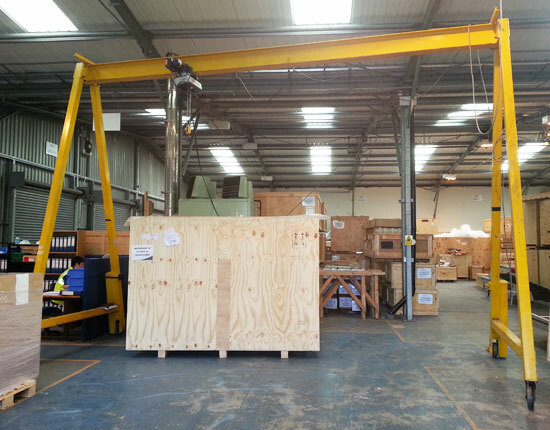 We supply many different types of workshop gantry cranes to suit your small and large lifting needs. The type of gantry crane for your application is determined by many factors, such as your required capacity, span, lifting speed and environmental conditions. The aluminum and steel gantry cranes are typically applied to lift and transport small objects in the workshop. They are much more flexible compared with other lifting solutions since they can be outfitted with adjustable height and span designs to pass through the doors or other obstructions easily. This type of portable gantry crane usually has smaller lifting capacity, and also costs less than other lifting systems. Other types of portable gantry cranes are also available for your workshop, such as rubber tyred gantry crane. This mobile workshop gantry crane can achieve a greater capacity and lifting speed, so it is a better option for large lifting needs. In addition to the movable gantry crane, we also supply rail mounted gantry crane in workshop, including full gantry crane and semi gantry crane. The full gantry crane is the most typical gantry lifting equipment with both sides mounted on rails, and it can bear a large variety of capacities ranging from 1 ton to hundreds of tons. The semi gantry crane is ideal for workshop where the facility space is limited. It can make use of facility structure to travel on a wall-mounted rail with the other side supported by two legs. The different types of workshop gantry cranes have their own specific applications. If you would like to buy a workshop gantry crane, contact our sales team online directly. They will assist you to build the most appropriate lifting solution for your need and offer you the best workshop gantry crane price. Fixed or adjustable height and span are available for your choice. The adjustable gantry crane is usually made of aluminum or steel. The workshop gantry crane on wheels can reach the entire working area and makes it more portable and flexible. Our workshop cranes are available in different sizes, materials and running mechanisms to carry a variety of capacities in a range of hundreds of kilograms to several tons, therefore it can achieve a wide application. The workshop crane we produce has good quality and low cost. The crane components we use are sourced from reputable brands home and abroad. We also strictly supervise the entire production to make sure the equipment is machined precisely. We are gantry crane factory, and always provide the most competitive price. The workshop gantry crane is available in multiple designs. Basically, the gantry crane is mainly composed of single or double girder, supporting legs, electric hoist or trolley, and electrical system. 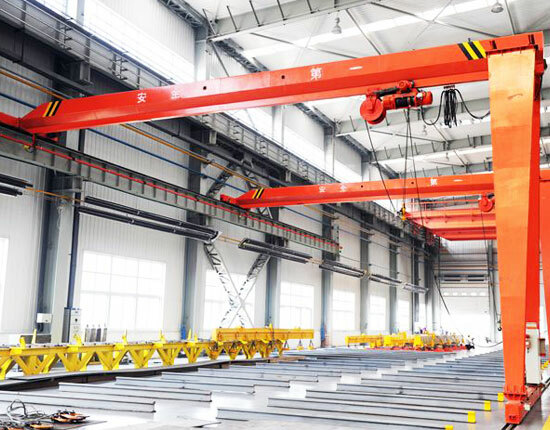 According to the practical application, the gantry crane will be equipped with different lifting devices including hook, grab, magnetic chuck and other specialized devices. The hoists, motors and other key components are also available in multiple options. For workshop gantry crane metal structure, it generally adopts box structure. Its main beam can be designed with outreach so as to form cantilever on one side or both sides to expand the lifting space. You can also choose the gantry crane without cantilever. 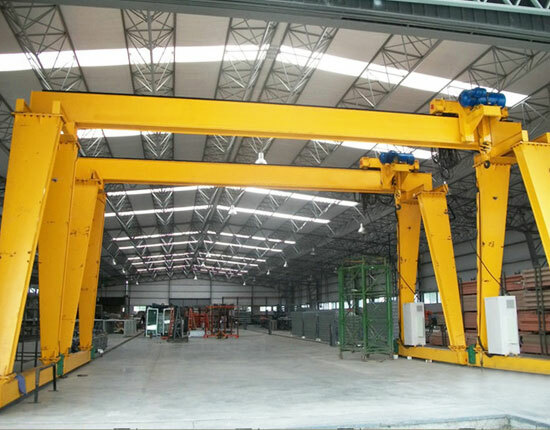 For the control system, the workshop gantry crane is usually operated from cab room or from the ground with pendant control or wireless remote control. The control system can be designed depending on actual operation requirement. The working environment for gantry crane operation is typically in the range of -20℃ to +40℃. The improved drive system makes the gantry crane movement more stable and smooth and also achieves a more accurate positioning of loads. Besides, the wheels are reinforced in order to ensure a highly safe operation and prevent accidents. In addition to the workshop gantry crane models we mentioned above, we provide non-standard custom design to meet each individual need of our client. To know more about our gantry crane design options, consult our engineers online now. 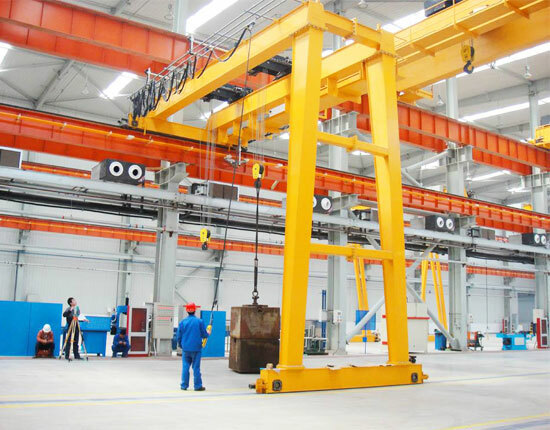 With so many workshop gantry crane manufacturers and suppliers around the world, it is necessary for you to choose a reputable and reliable one. Therefore, before buying a workshop gantry crane, you need to take a few things into consideration. 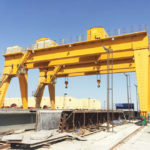 For instance, you should check the qualification and reputation of gantry crane companies, and their services including the gantry crane warranty, installation and maintenance. We are seasoned workshop gantry crane manufacturer, and have been engaged in designing and manufacturing lifting equipment for over ten years. Our products mainly include overhead crane, gantry crane, port crane, jib crane, electric hoist and winches, and have been exported to many countries and regions, such as Indonesia, Malaysia, Philippine, Ethiopia, and Kenya, therefore we have accumulated a lot of experience in the workshop gantry crane design, fabrication, installation, maintenance and other services. We strictly comply with the crane design and manufacturing standards and value much on the product quality. Looking for workshop gantry crane? Ellen can be your first choice!